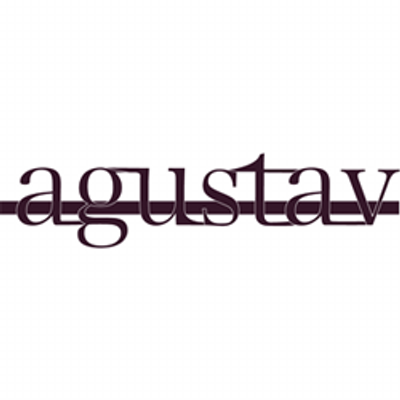 agustav furniture and design, is a collaboration between furniture makers and designers Gustav Johannsson and Agusta Magnusdottir. 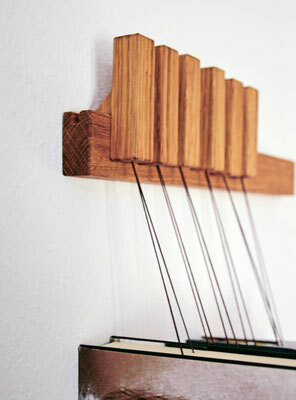 Currently located in Iceland they build each and every item in their workshop in downtown Reykavík. 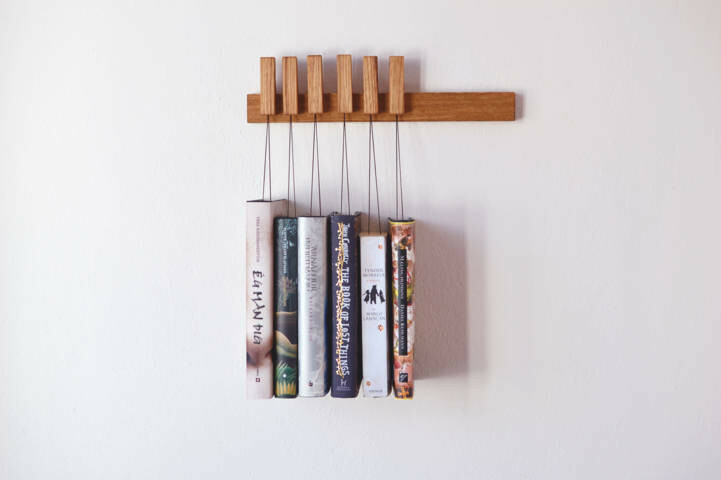 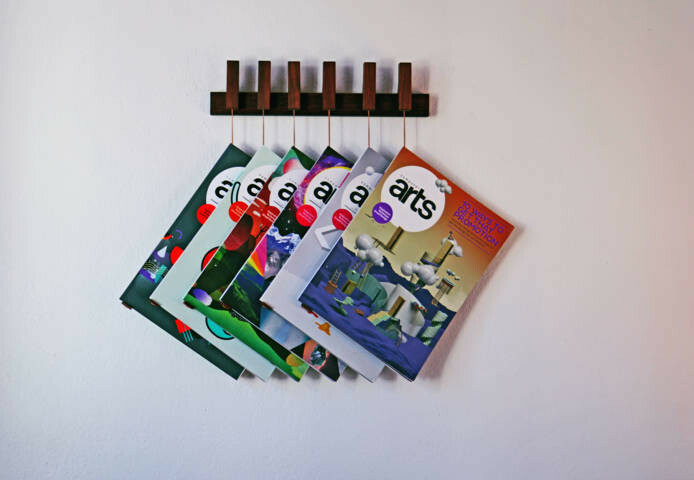 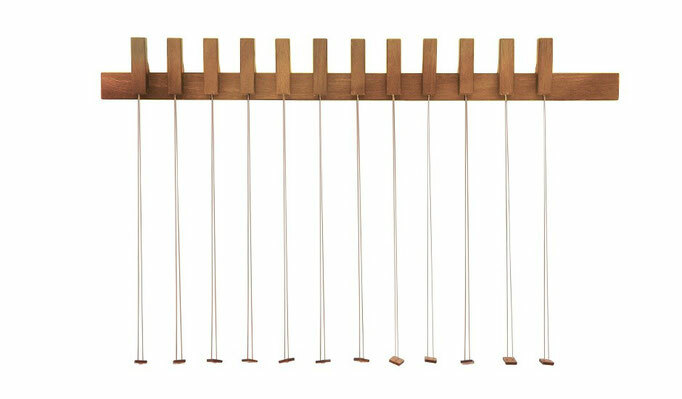 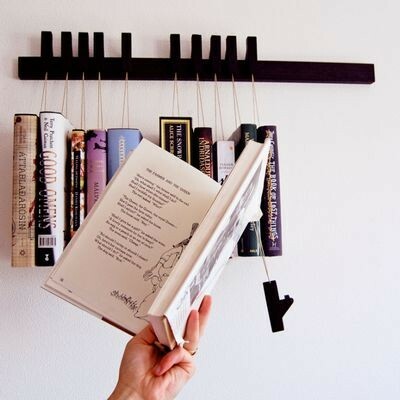 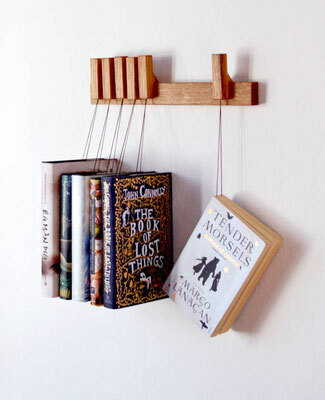 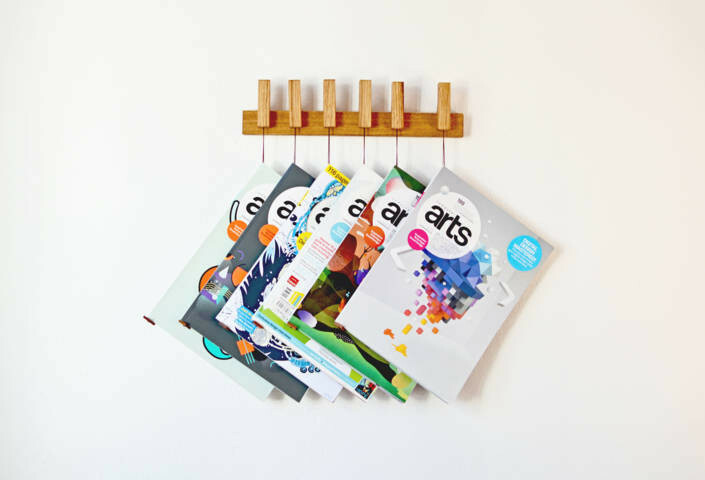 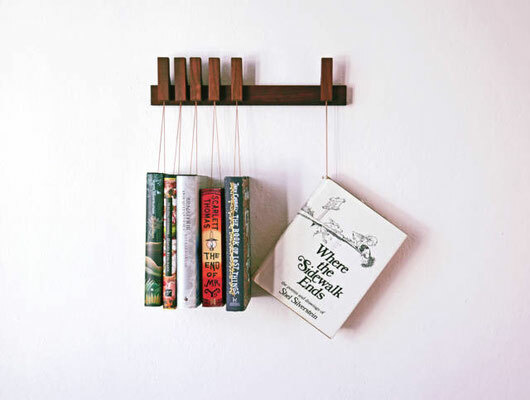 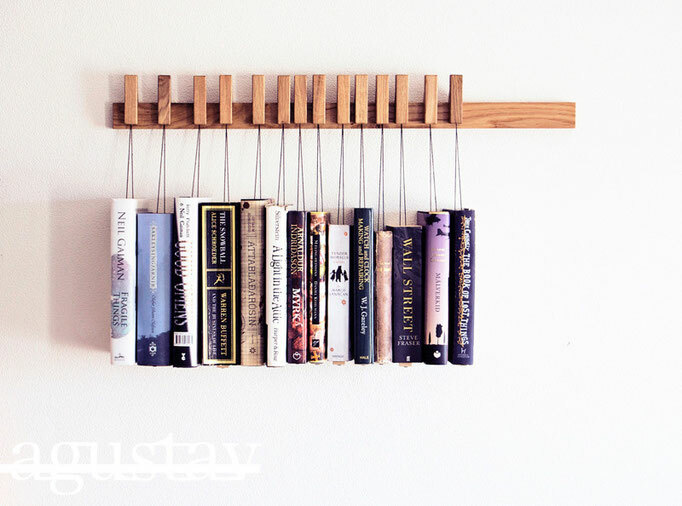 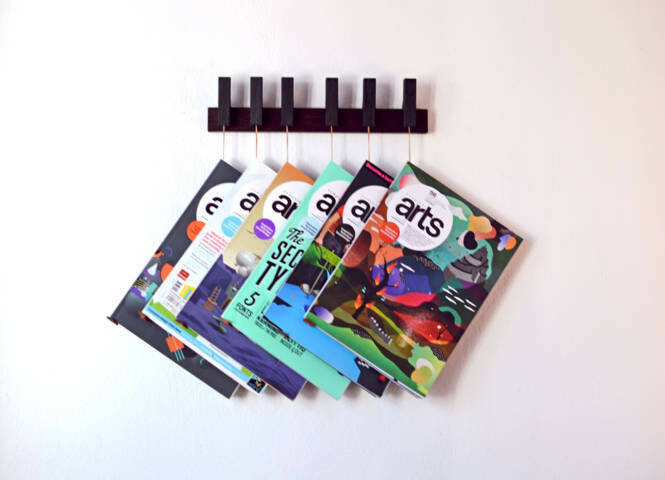 The book rack comes in solid Oak, Wenge or Walnut with a set of 12 pins/bookmarks. The pins are detached and can be moved around the back piece to meet your needs at each time. The books rest on a small wooden plate so the pages stay intact. The plates can be moved back and forth on the bottom of the book to control the height of which the book hangs, making it possible to line different sized books up in a straight line. 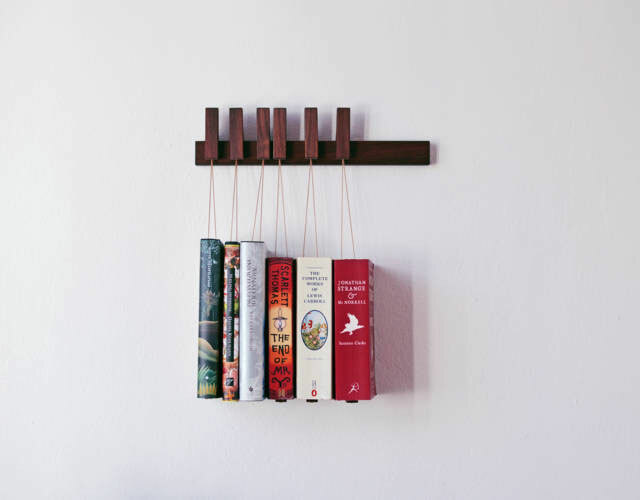 The string is made of waxed cotton and you can choose between dark brown, beige or red. 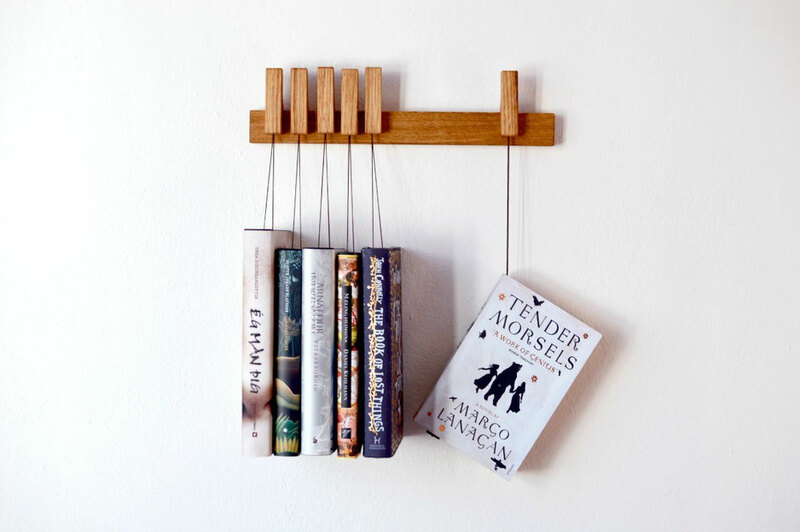 The book rack does not harm your books. 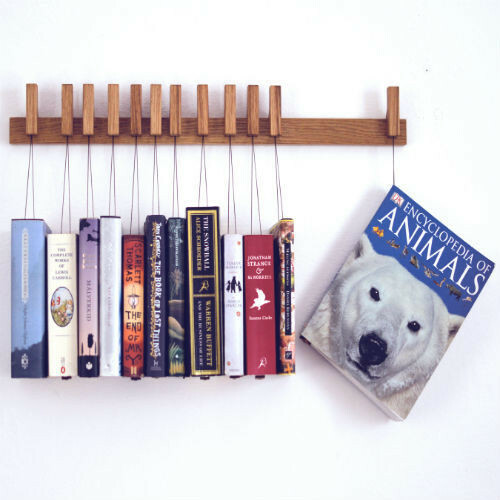 We have had our book racks hanging for a while and our books are happy, showing no signs of wear from this storage method. 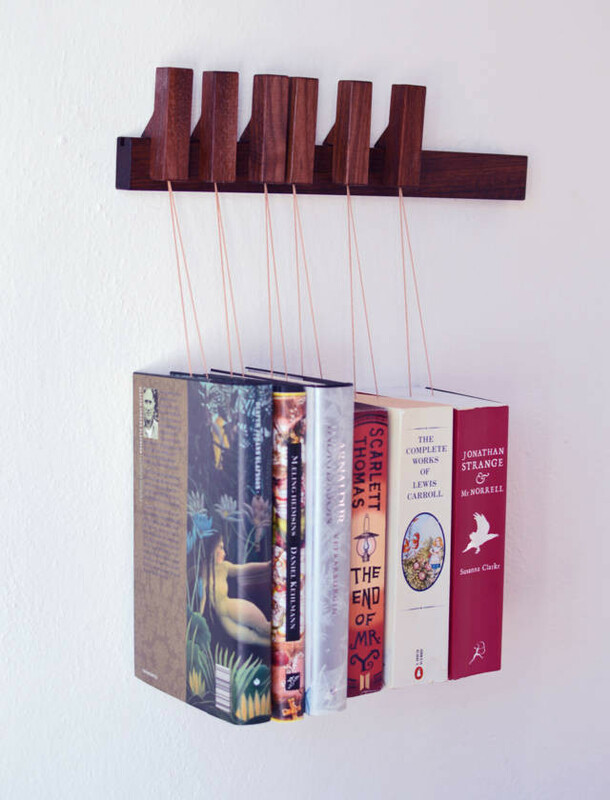 With this unique bookcase you can hang your books and display them as art. "Creations sometimes appear to be obvious, as if they had always existed, as if this object had always been part of your life." 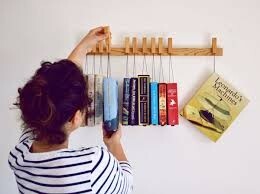 "This way of arranging books is great. 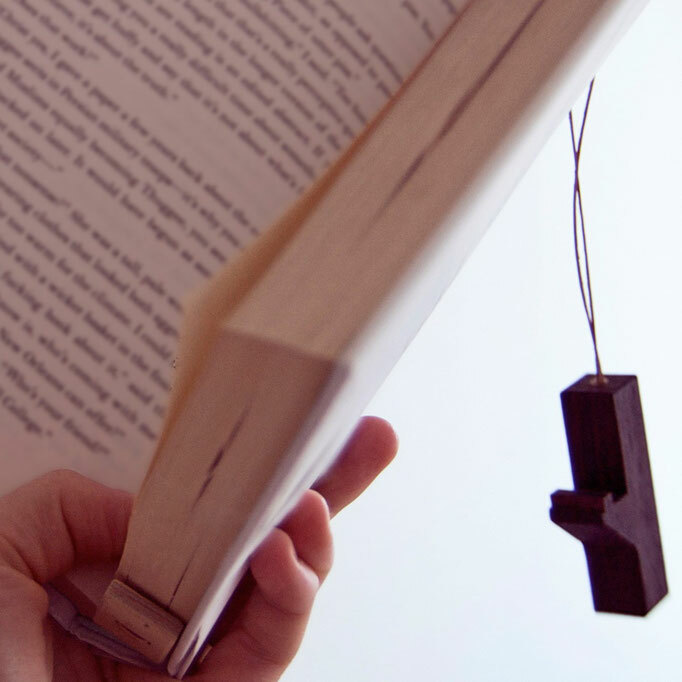 I feel like my books are having a break. It maybe silly to say but it adds an extra dimension to reading, as if the heroes of my books were waiting for me, hanging from a wire." 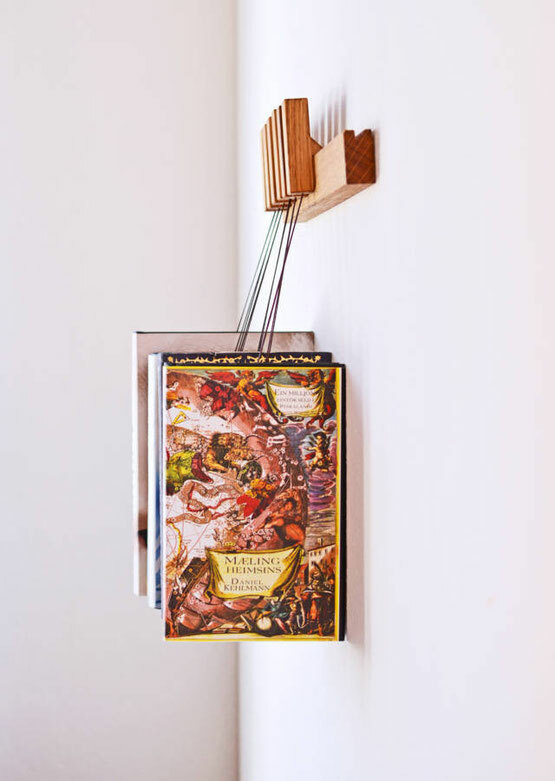 "The product is beautiful, easy to install and even easier to use and in addition I find my book exactly where I have stopped reading them, which is a great time saver for me." 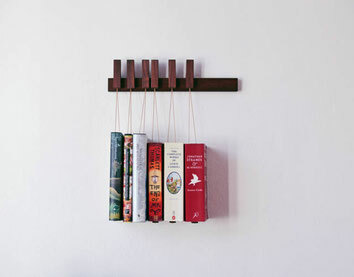 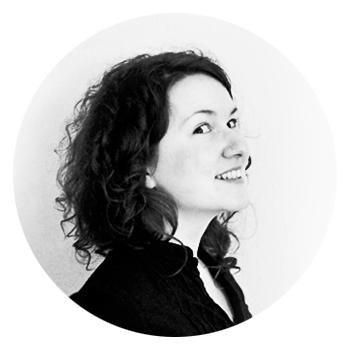 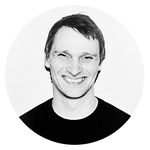 "It's simple and effective, and the design is beautiful, this product will be very successful."